Akutagawa is regarded as the father of the Japanese short story and is one of the most recognizable names in Japanese literature. The premiere Japanese literary award is named for him. Born in 1892, he committed suicide in 1927 at the age of thirty-five. Though he only wrote short stories, his peculiarity and the power of his prose still carry sway today. This volume presents new translations of two of his most well-known stories: Rashomon; A Christian Death; the never-before-published-in-English story Agni; and a bonus story, In a Grove. 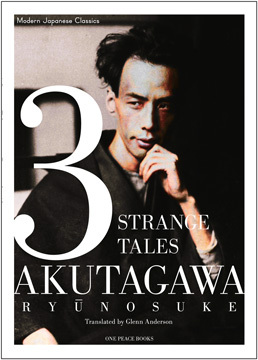 Ryunosuke Akutagawa is often referred to as the "Father of the Japanese Short Story" due to his prolific literary output in the medium. Born in 1892, he was a contemporary of other major figures of modern Japanese literature, including Soseki Natsume and Junichiro Tanizaki. He is known for his inventive and playful language, as well as his pessimistic and satirical eye for social commentary. The premiere Japanese literary award is named for him.